A new analysis carried out by the confederation of Danish industry, Dansk Industri (DI), reveals that the tourism industry in Denmark is thriving. Income from foreign tourists in 2017 amounted to 54.3 billion kroner – an increase of more than 42 percent since 2010, according to figures from the national statistics keeper Danmarks Statistik. Although the number of tourists visiting Denmark has only increased by 27 percent, revenue earned from them has risen by 42 percent, reports DI Business. “The number of foreign tourists has increased in Europe, but they spend more money when they visit Denmark. This is a good development that we can be proud of,” said Sune K Jensen, DI’s head of tourism. 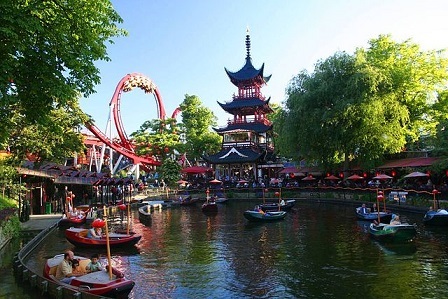 One of Denmark’s major tourist sights, Tivoli Gardens, has seen its annual revenue go up by more than 300 million kroner since 2010 to just under 1.3 billion in 2017. That year also saw a record number of foreign visitors at the gardens – 39 percent of the total. Tivoli’s communications director, Dorthe Weinkouff Barsøe, points out that Copenhagen has become proficient at attracting tourists who spend a lot of money on a holiday. “Restaurants and hotels such as D’Angleterre, Geranium, Noma and Nimb are names that big-spending tourists travel here specifically for,” says Barsøe.